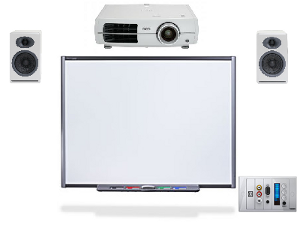 Projector and Interactive Boards have been a part of education and professional presenations for many years now and AV Installs is proud to be part of the enhanced learning experience. 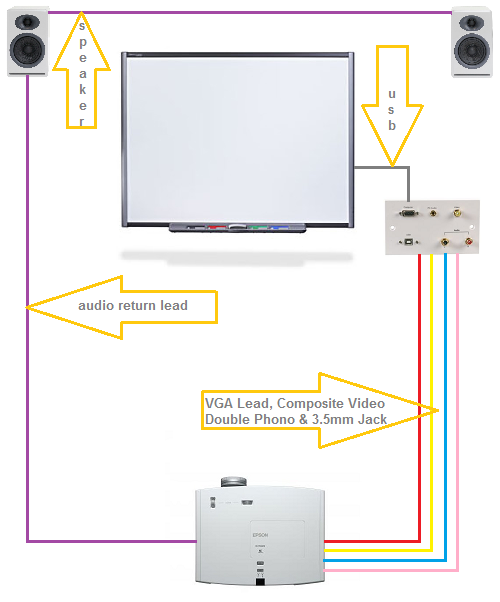 AV Installs has put together a standard installation package offering a low cost professional installation service to the education and commercial sector. AV Installs also includes a surface mounted faceplate which is wall mounted near the PC and other AV equipment. The plate provides a professional user interface allowing connection's to the projector and interactive whiteboard.